The weather is starting to turn and the cold nights are drawing in, we have officially said goodbye to summer and all started to notice the leaves falling from the trees, autumn is here. Through the autumn period, where leaves fall from the trees and debris is blown around in the wind, drains become the home of many leaves and unwanted objects. This can lead to blockage, which can lead to other faults, such as water holding and floods etc. Whilst we are all preparing our winter wardrobes, it is easy to forget to take the time to prepare are homes for this season. Below are some top tips on how you can eliminate the risk of a disaster further down the line. General tidiness and garden maintenance such as sweeping up any leaves will assist in preventing leaves from entering the drainage system. If you suspect you already have blockage, this is not a problem as we can offer drain cleaning and unblocks at a competitive price. 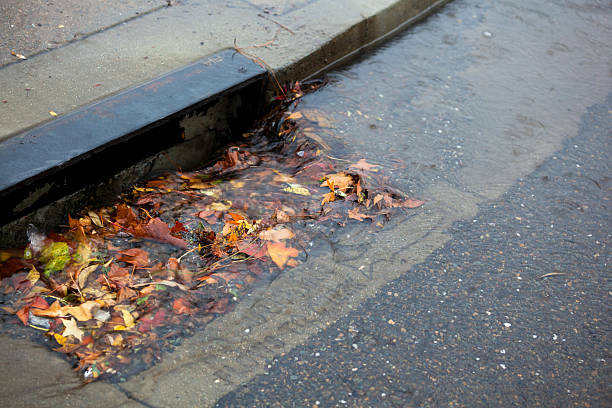 If you suspect you have a drain open to the elements, we can fit the correct covers and guards to ensure water can still flow away, whilst preventing leaves and any objects from entering the drainage system. Ever noticed a leak or damp inside your property, suspect you have a burst pipe or roofing issue? One of the main culprits for water ingress is blocked gutters. Gutters and down pipes are notorious for holding leaves and debris at this time of the year. We can provide re-active and prevent guttering cleaning to help avoid any nasty situations. Along with guttering and drainage cleaning, it is important to ensure your current system is installed correctly to assist with diverting water away from the property. We can provide repairs to guttering and all external pipework, including installation of new.